What woman would say no to long, thick, luxurious hair? You could do it the old fashioned way spending forever growing it, and a fortune maintaining it, or you could take a shortcut and look gorgeous with today's deal. 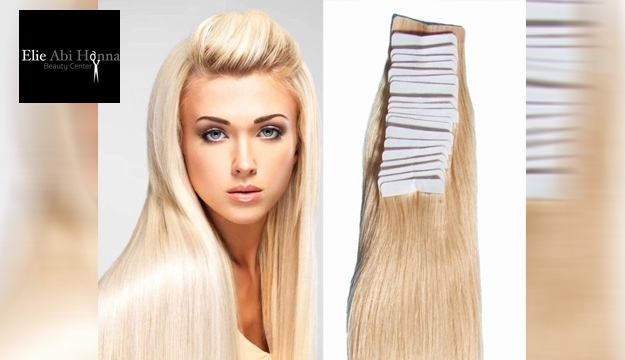 Hair extensions are a luxury and fashion accessory. There is no such thing as wearing quality hair extensions for 6 months without any maintenance or re-tightening. Furthermore not having your hair attended to at least every 5-6 weeks is very bad for it. Consider this? When you have your hair colored you have to return at least every 6-8 weeks to have the roots touched up. In order to maintain lovely hair extensions you need to invest in them and your own hair for that continuous flawless look.